Enjoy life's lost art of relaxation in paradise! Exquisite décor by Tommy Bahama, Ocean Club Collection, inspires the ways of the good life. You're invited to capture the essence of Island living at Sandpiper Beach House. Inhabiting a Gulf Coast address, Sandpiper is a short walk to the white, sandy beaches of Florida's 'Caribbean' Gulf of Mexico. Captiva's shoreline is sprinkled with exotic birds and fabulous shells and is world renowned as Florida's sea shell coast. The village of Captiva glitters with twinkling lights & Tahitian torches exhibiting a South Seas ambiance. Gift shops and art galleries painted in bright pastel colors offer a unique selection of island treasures. 10 mgs high speed Internet; Laundry Rm W/D. Captiva's award winning restaurants are a culinary delight offering island cuisine, live outdoor entertainment & spectacular sunsets. The 'outrageous' Bubble Room Restaurant is your delicious holiday from the ordinary, noted for their wildly famous orange coconut cake. Naturalists, bicycle along Sanibel Island's 26 mile bike path to unspoiled beaches and quiet picturesque wetlands. Delight in scents of flowering Jasmine & Gardenia. You might even catch a glimpse of the endangered Bald Eagle. Nearby Ft Myers & Lee County offer visitors even more options. The nightlife is within easy reach, as are many of Southwest Florida's natural wonders. Explore the Everglades, visit ancient cypress sloughs, or spend the day in one of the many local museums. Anglers will delight in the fishing around Captiva, Sanibel, the waters of Pine Island Sound & the Gulf of Mexico. Captiva has been featured in national fishing magazines, and has a well-deserved reputation as a destination for Redfish, Tarpon & Snook. If Golf is your game, there are public courses on Neighboring Sanibel Island. Sandpiper Beach House is located on Captiva Island's world renowned shelling beaches with lush, tropical vegetation, spectacular sunrises, sunsets, exotic plants and flowers without high rises, hotels, and crowds making Captiva a sought after romantic destination spots. This home is located in a beach front community. 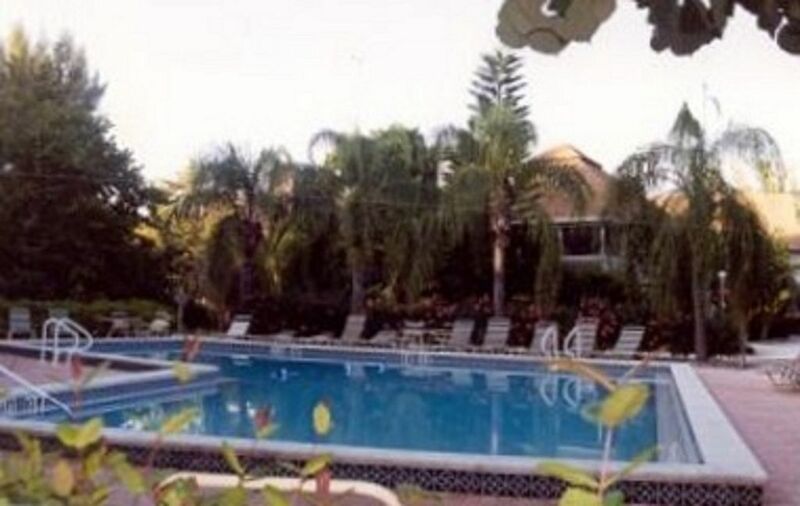 The location is of Sandpiper Beach house is with in walking distance to the beach, guestimate 3-4 minutes. There are no views of the beach. Are not provided and can be rented from retailers on Sanibel Island. Guests have the option to rent a boat or bring their own... If available, complimentary slip for boats meeting specified requirements. Public golf courses located on Sanibel Island. Most definitely captivated by Captiva! Our trip to Captiva was wonderful! Sandpiper Beach House was the perfect place to stay. Such a great location with restaurants, shopping, grocery store, beach, pool, activities, and marina all so close. We enjoyed breakfast every morning on the patio as the sun came up and enjoyed drinks on the beach as the sun went down. Don’t miss a single sunset while you are here - they are beautiful!! We had everything we needed and the only negative thing I can say is that we couldn’t stay longer - we were definitely not ready to leave! Can’t wait to come back!!! Sandpiper Beach House is located in a great spot with quick access to not only to the beach and pool but the Island Store, restaurants, and Jensen's Marina on the bay side. The house is stocked with everything you would need for a fun day at the beach, including: chairs, umbrellas, toys, shovels, buckets, body boards, and much more! The kitchen also had a bunch of Pyrex containers (which are much better than the plastic containers) to store all of our leftover meals. Something you don't really think about until you need it. We can't wait to come back! My family and I had another wonderful stay at Sandpiper Villa on Captiva Island. The house is beautiful with many modern updates. What we enjoy most about this location is the quick access to everything (beach, Jensen's Marina across the road, Captiva Restaurants right around the corner.) There's no reason to get in a car once you're there. Both the weather and the fishing did not disappoint. This truly is my favorite place on earth. Perfect location for our multi-generation annual vacation. This house has everything you need - plenty of room, comfortable furnishings - all the beach gear you need including towels, floats and coolers and a wagon to carry them! Our favorite spot is on the screened porch with coffee each morning and cold drinks each night. The house was great, the furniture a bit dated. Thank you for the great review! With regards to the furniture being dated, the master bedroom set is a custom made, high end pedestal bed with bridge of lights. Very beautiful! Great location and a great house! We loved walking to the beach and the pool every day. The location was perfect. A block from all the great restaurants. Everyone in the family was very pleased. The house was great!